Martin Breuer Bono holds a Master’s degree in Mechanical Engineering from the Vienna University of Technology and a MDes degree from the Royal College of Art in London (UK). Apart from formally aesthetic considerations, his work focuses on conceptual contents and technological aspects, which often go hand-in-hand with one another. In this regard, he coined the term “design development”. His projects have won a range of prestigious design and innovation prizes, while his work has been put on display in numerous countries. Martin is married and a father to three boys. He lives and works in Graz (A). How much? How much space do you really need to hold a book? All you have to do is support the centre of gravity to prevent the book from falling sideways! 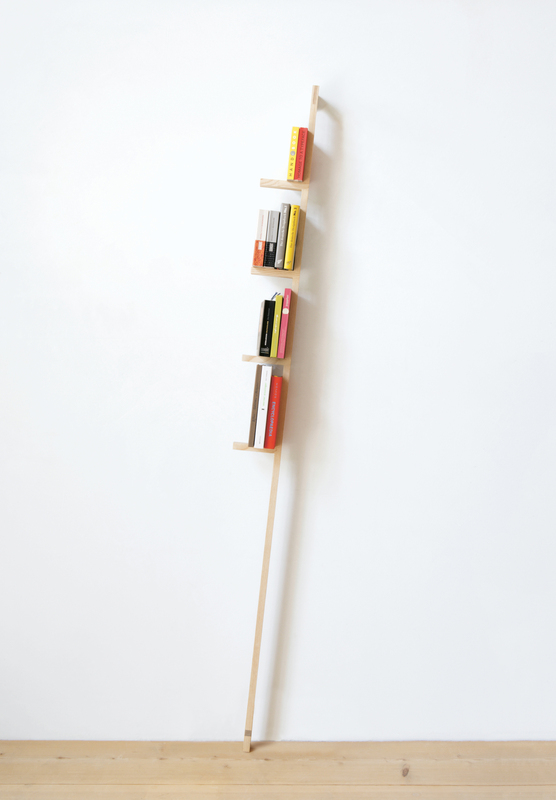 Buchheimer is a bookcase that offers these functions with a minimalist structure. The object stands on one leg and is fixed to the wall at an angle of 5°. The weight of the stored books helps to enhance the bookcase’s stability. 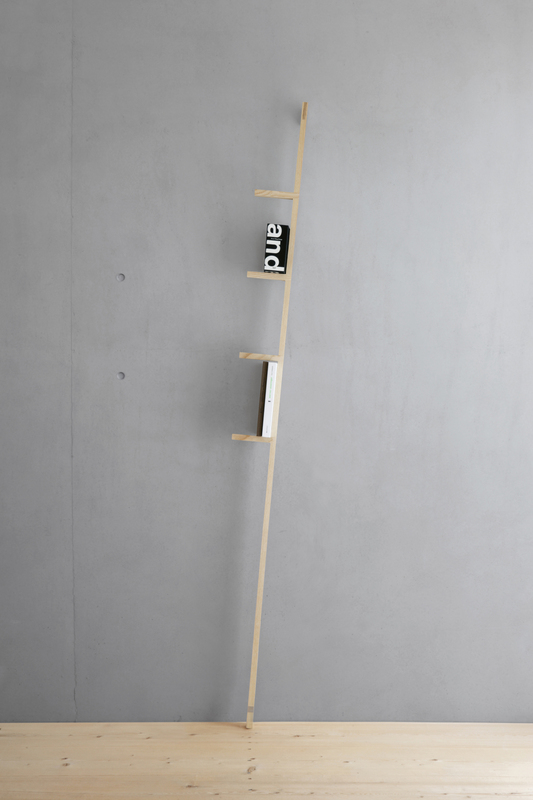 Buchheimer stores and showcases 0.42 metres of books.